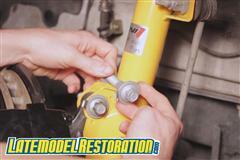 See install videos and tech articles for your S197 Mustang's suspension! 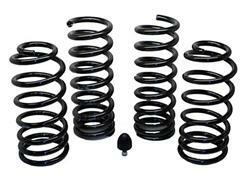 Lowering springs, steering components and more!!! 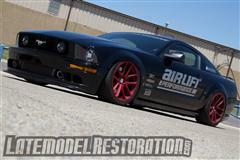 Get all the latest 05-09 Mustang Suspension tech and news from your fiends at LatemodelRestoration.com. 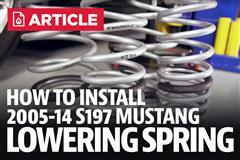 Lowering spring installs, full suspension upgrades and repairs to keep your 05-09 Mustang S197 on the road can be found here. Stay in the loop with all the latest product offerings from Ford Racing, Steeda and SVE. 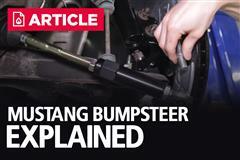 If you want to get more from the suspension on your 05-09 Mustang then this is the first place to look for new products, installation how-to's and what will help give you the performance edge you are looking for!